The Dohany Street Synagogue, also known as the Great Synagogue, is the largest synagogue in Europe and one of the largest in the world. It was constructed between 1854 and 1859 and was strongly influenced by Moorish architecture. The synagogue was bombed by the Nazis on February 3, 1939, following which Nazi occupation of this area ensued. The synagogue became part of the Jewish ghetto in Budapest, where Jewish people were forced to live during World War II. When the ghetto was liberated by the Soviets in 1945, a decision was made to bury the 2,281 victims in 24 mass graves in the garden outside the synagogue. This garden truly touched me as I stood here with a moment to reflect on the lives lost during that time. 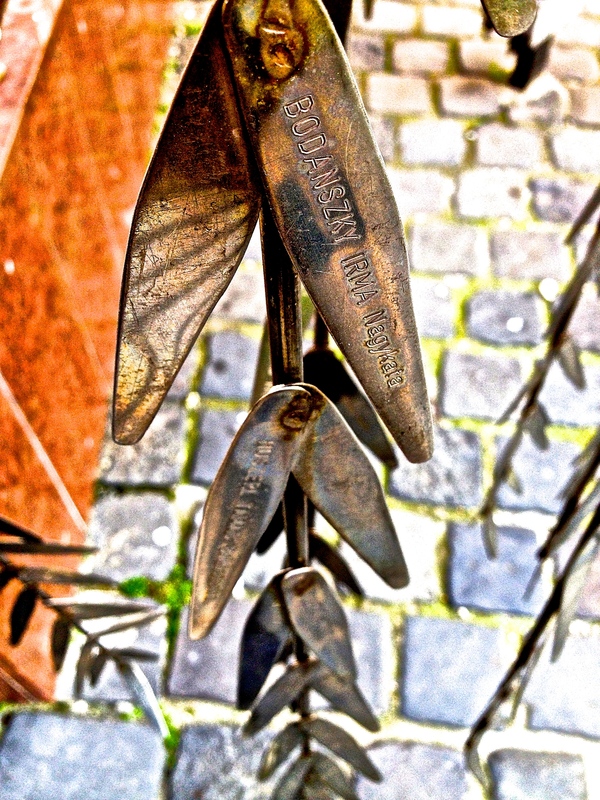 Behind the synagogue is a weeping willow memorial, which if you look at closely has names and tattoo numbers of those who died. Grave suffering and damage occurred to this place of worship during the Nazi Occupation and also later during the Siege of Budapest. Following World War II, the Soviets occupied Budapest for a lengthy 45 years, until 1991 when the last of the troops finally left. 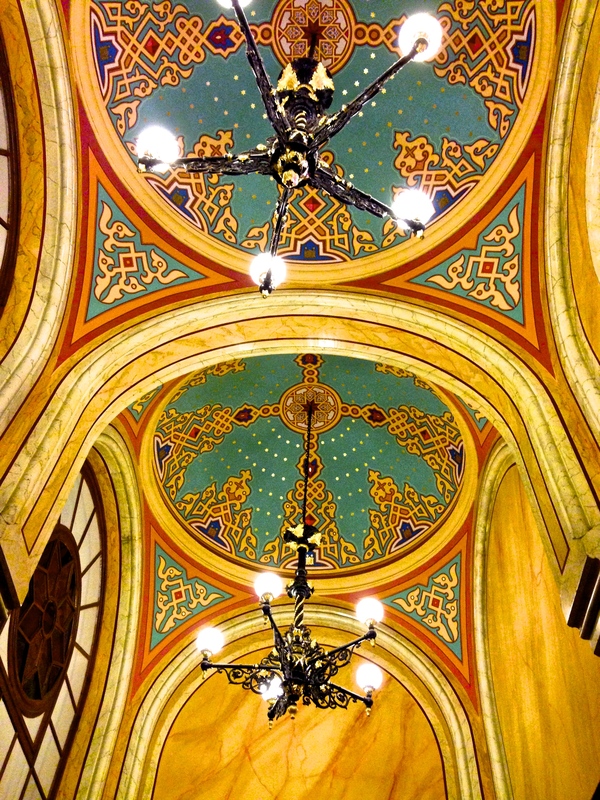 The restoration of the synagogue began in 1991 when Budapest gained back it’s independence. 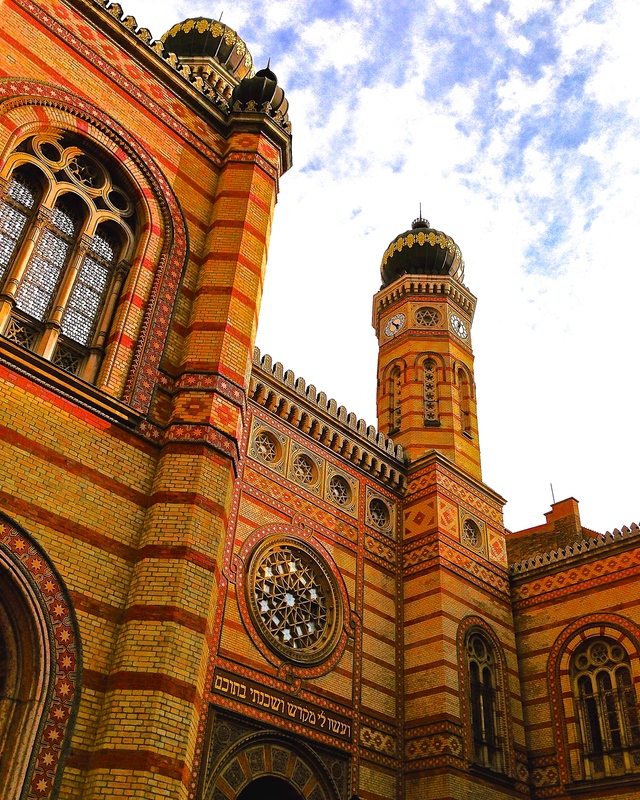 The Great Synagogue should not be missed while visiting Budapest. It is easy to spend hours here as the underlying significance of this building is amazing. I visited in the middle of November right when it opened at 10:00am, and I encountered no line. Budapest’s tourist season is generally during the summer, so to avoid crowds, but still have temperate weather, visiting slightly off season in May or September is a good choice. Average high temperatures between June and August are between 70 and 79 degrees Farhenheit (24 – 26 degrees Celsius). For a guided tour, arrive between 10:00 and 10:30 in the the morning. The synagogue is closed on Saturdays, and on the Jewish High Holidays. Check the website before going, as these dates change annually. Although there are no specific restrictions online, it is standard for men and women to have their knees and shoulders covered when entering a synagogue. Men must also wear a kippah, which they provide directly before entering the synagogue if you need one. Photos are allowed inside so bring a camera. When buying your ticket, you can ask if you need to buy a photo permit from them, which is the equivalent of about $1.75. When I visited, photos were allowed without a permit but this is subject to change. 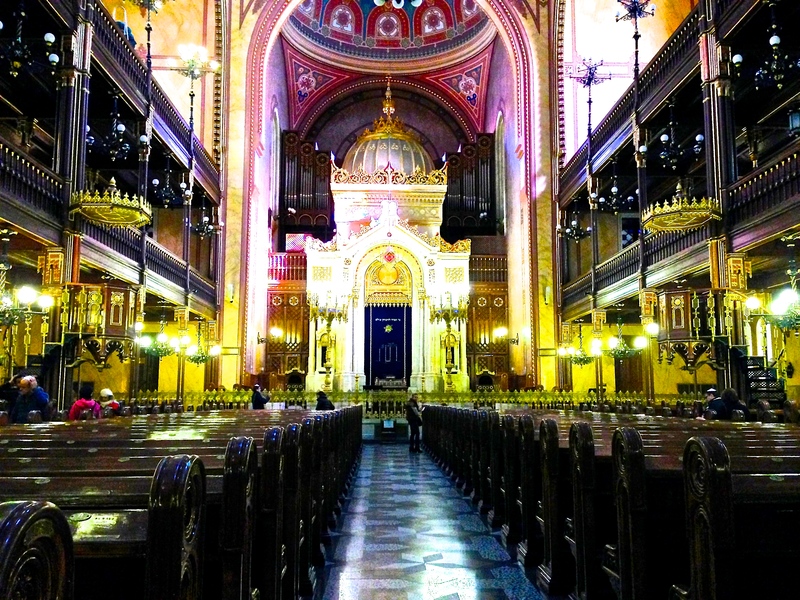 The synagogue is in downtown Budapest and easily accessible from downtown hotels and hostels. If you’re downtown, I would suggest walking. Everything is pretty close. If you’d feel more comfortable taking a subway, you can take subway M1, M2 or M3 to Deák tér station, and walk on Károly körút towards Astoria. Budapest is well connected to the rest of Europe by rail and by air. 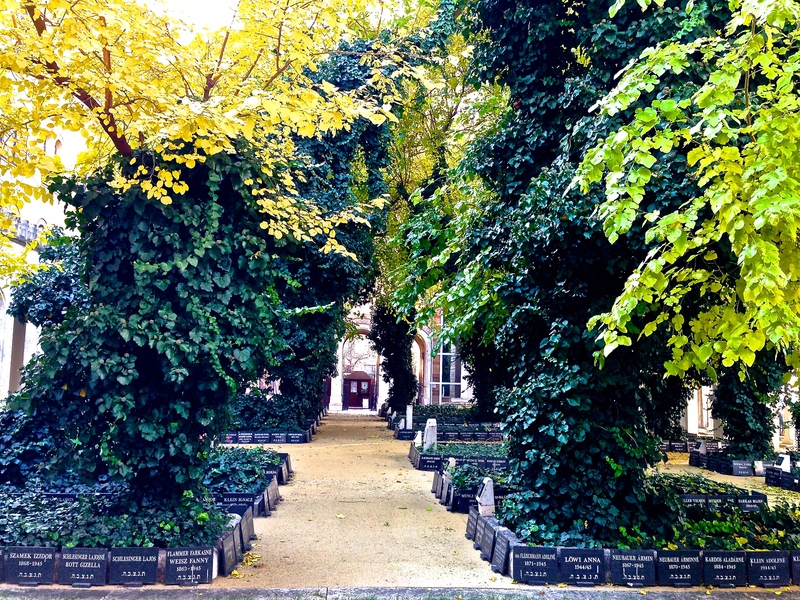 The Hungarian Jewish Museum (in the same building as the Great Synagogue), the graveyard, and a memorial garden area are also included in a general ticket. The Hungarian Jewish museum was constructed between 1930-1931, and it contains ritual objects of the Sabbath and High Holidays, religious relics, and a Holocaust room. To further explore the Jewish history sites in Budapest, include a trip to the House of Terror museum. This site contains information about the fascist and communist dictatorial regimes in Hungary. The top 2 floors include history, videos and pictures from the time, but the basement includes physical replicas of torture items, prison and isolation rooms. Freedom Square contains a controversial World War II monument-there is an eagle (which represents Nazi Germany) attacking the Archangel Gabriel (which represents the Hungarian victims). Several people, not pleased by the implications of the statue decided to take action. On the sidewalk, in front of the statue, is a makeshift memorial. Constructed by dedicated activists, this memorial contains photographs of victims, personal items, and candles to provide a stark contrast to the grand memorials built by the government. In fact, this community uses social network to continue its mission, and any person can add to this memorial. 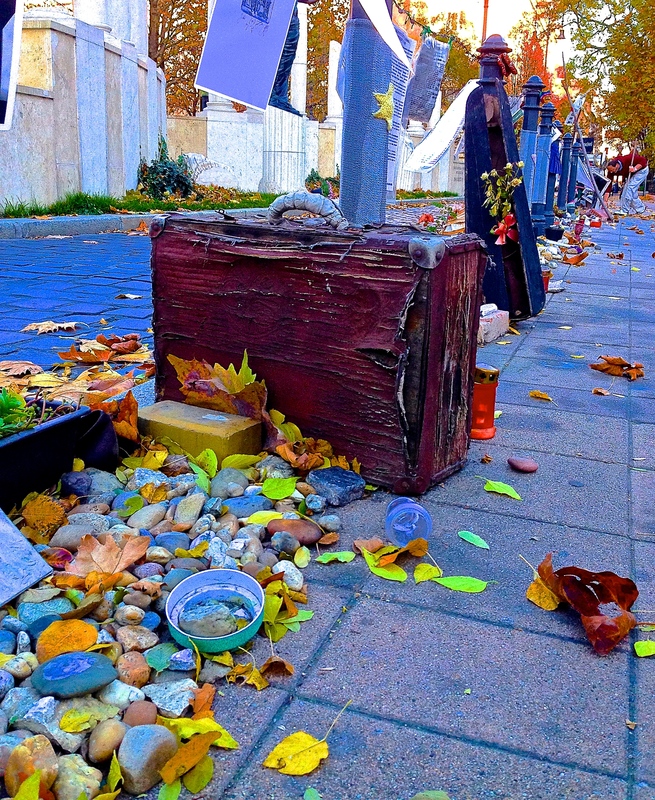 Thus, this improvised memorial changes daily with a row of personal items honoring the Hungarian Jews who died in the Holocaust. 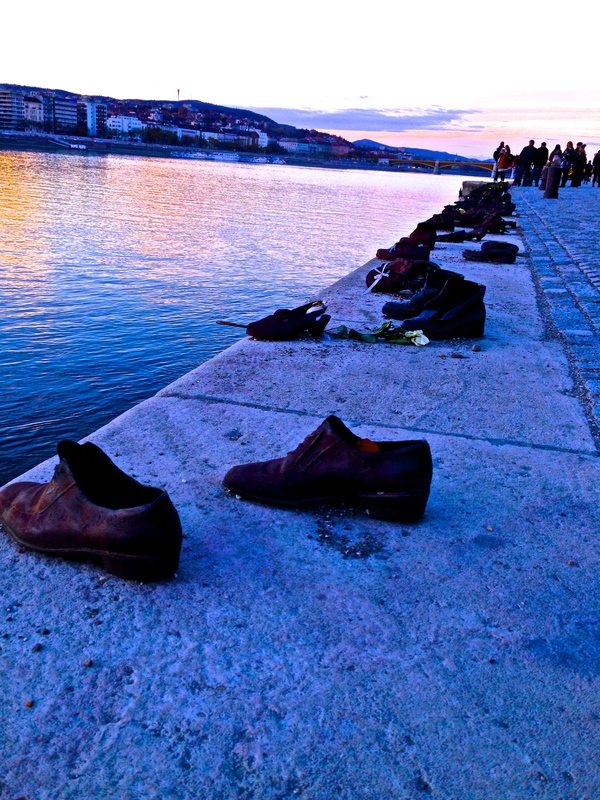 Another moving Holocaust memorial is situated on the Danube River. Here, visitors will find 60 pairs of cast iron shoes sitting inches from the river symbolizing those who were shot by the Arrow Cross Party (Hungarian Nazis) during the Holocaust. 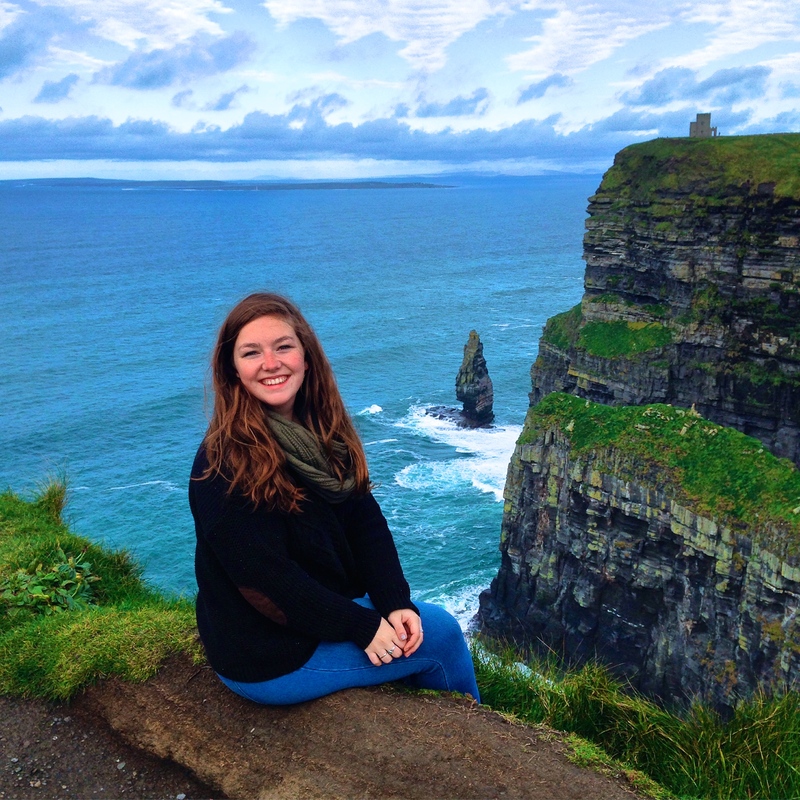 Thanks to Katherine, a student at Rhodes College, for sharing her powerful experience in Budapest.